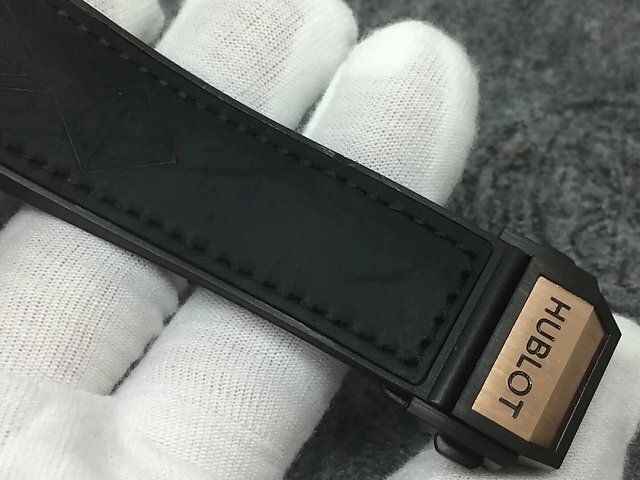 Today, I want to show you a very special replica watch, it is from Hublot. 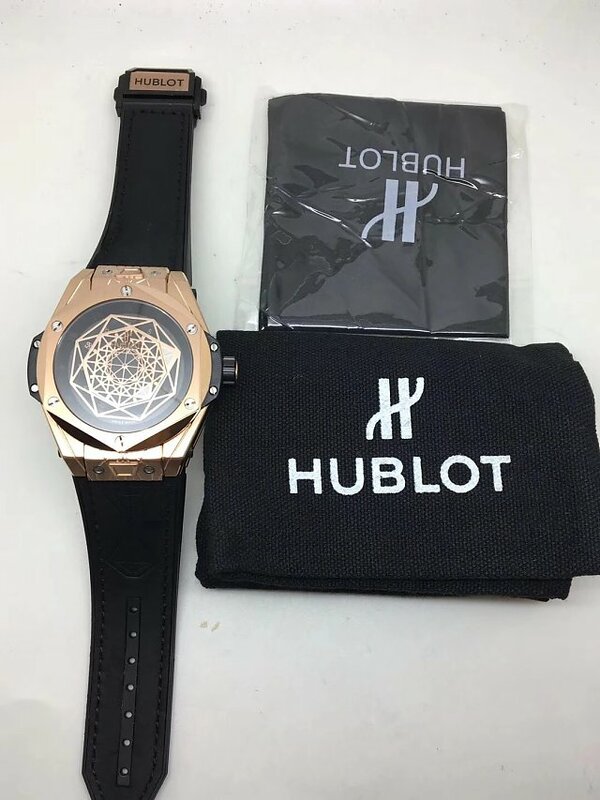 The genuine watch is designed by Hublot and Maxime Buchi, who is a famous Tattoo artist in Switzerland. 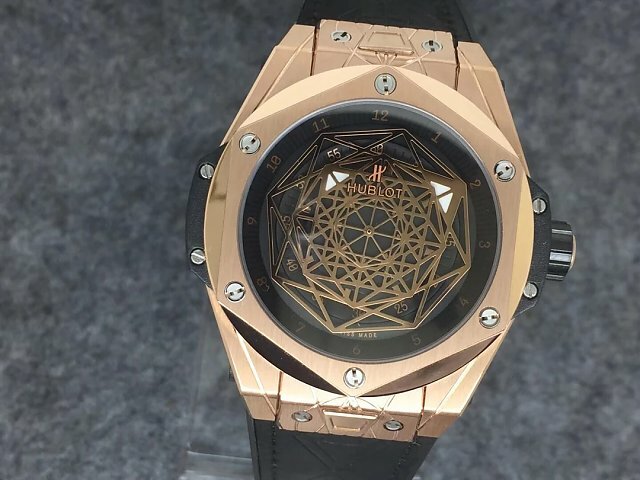 So this watch is also called Hublot Tattoo. The replica is made by TM factory, its tattoo-inspired dial design even makes me do not know how to read time, but after checking its dial carefully, it is very easy to read time from dial, and I also find it is very interesting. 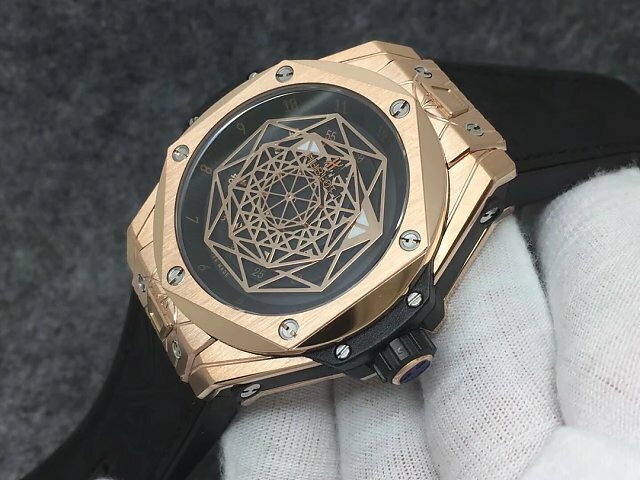 Biao.is published three models of replica Hublot Big Bang Sang Bleu, they include stainless steel, rose gold and pvd black. You can choose one according to your favorite style. 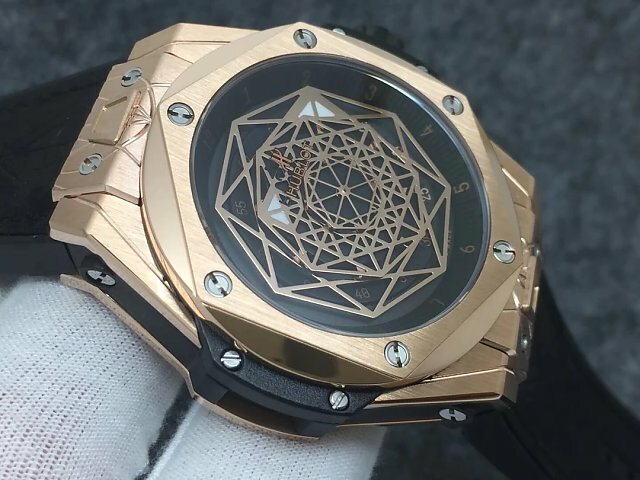 Here I will show you the rose gold replica watches. The case is made of 316L stainless steel that has a thick coating of rose gold. Case is measured to be 44mm in diameter and 14mm thick. The case also has special patterns engraved, looks like the tattoo on Buchi’s body. 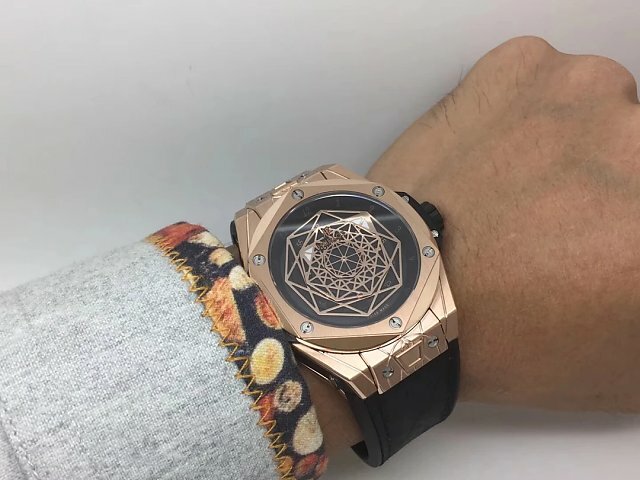 The bezel is in rose gold and fixed by six steel H-shaped screws, the bezel is also in hexagon-shaped that echoes with the moving disks on black dial. Case back rim is made of stainless steel, while the crystal on the center is sapphire and it lets the beautiful movement in front of your eyes. 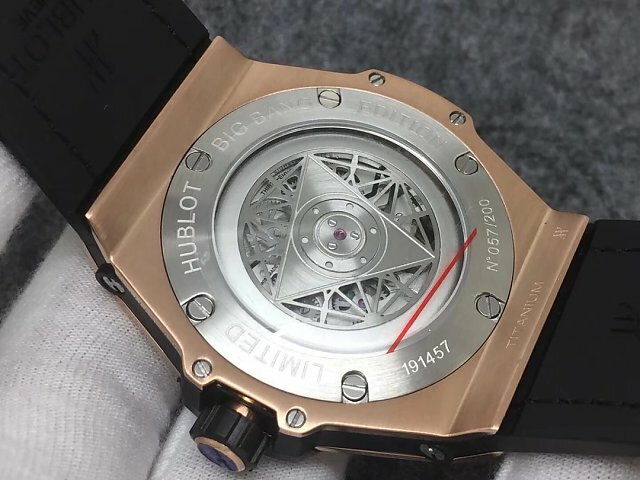 When it comes to the movement, it is based on a Japanese Miyota automatic that is 27 jeweled, watch master from Biao.is spent a lot of time to carve the auto rotor, which is a hexagon-shaped disc with one big triangle on the center. It looks uniqie because I never saw one watch before with such auto rotor that covers the whole movement. This is also a great progress Biao.is has made in replica watch industry. Sir how I will buy this watch does you delivered to pakistan? Where can this replica be purchased?